Gift Certificates are also available for purchase for you or your friends! 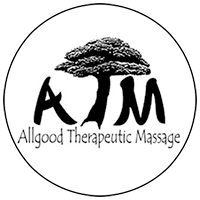 Cash, checks, Paypal, Venmo(allgoodmassage) and credit/debit cards are accepted and payment is due at the time of the session. Insurance payments are not accepted at this time. If you should need to cancel your appointment, please do so with 24 hours’ notice, or we reserve the right to charge you for your missed session. If you are late for your appointment, please understand that you may not be able to receive a full session. Intoxication can be dangerous to the client and the therapist. Therefore, intoxicated clients will be asked to leave the premises and charged for the session. Call/text to schedule your appointment. *We can try to accommodate short-notice appointments, and can likely get your appointment within the week, but booking your appointment well in advance works best for everybody’s schedule.